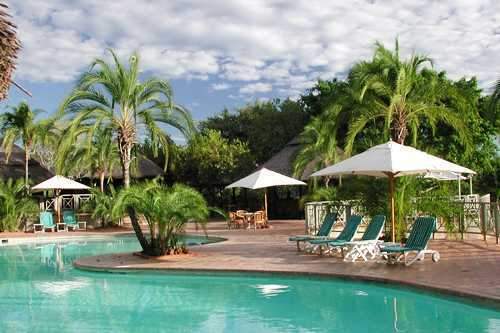 The resort of Elephant Hills Inter Continental, only 4km from the Victoria Falls, provides guests with a panoramic vista of the mighty Zambezi River and its surroundings. 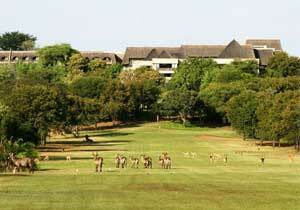 276 rooms and an 18-hole golf course, designed by Gary Player, await you, a memorable blend of luxury and wilderness. 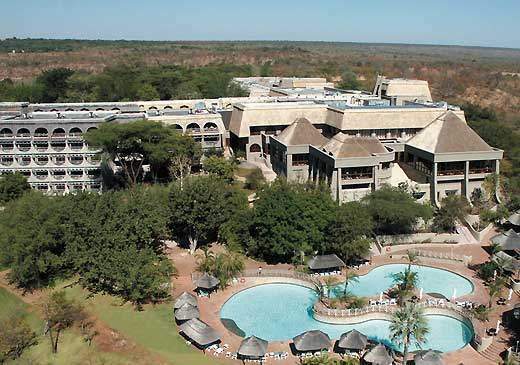 The Elephant Hills Intercontinental Hotel is renowned for its extensive conferencing facilities and wide variety of entertainment and sporting activities. All arrangements for soft activities and your adrenaline rushing experiences such as the "Flight of Angels" or White Water Rafting is available. 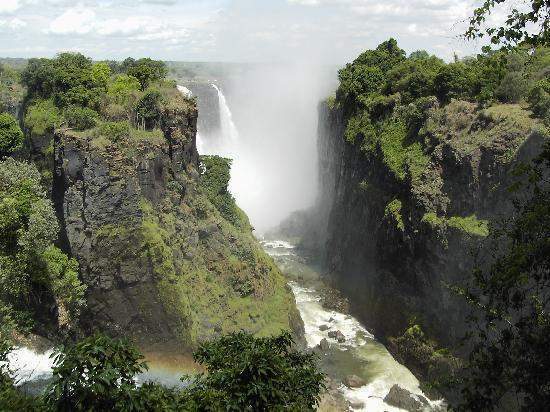 A spectacular panoramic view of the mighty Zambezi River and spray from the legendary Victoria Falls greets you from your balcony. 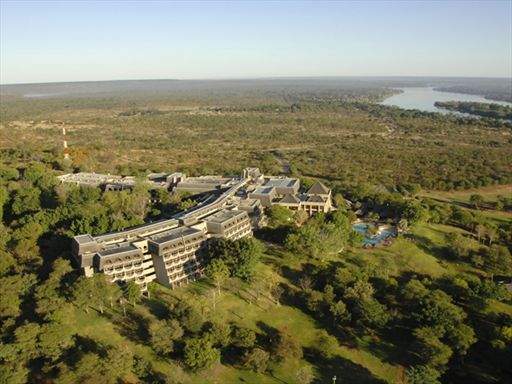 The immaculate golf course fairways cut their way through the rugged African bush dotted with grazing antelope and the sound of baboons scolding their young. 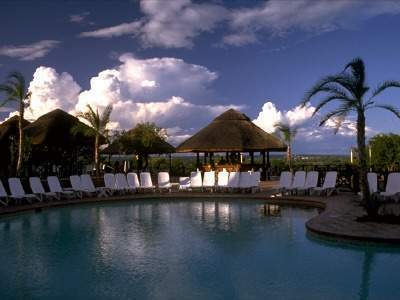 World class luxurious accommodation, superb cuisine, and the true essence of African traditions and culture have captured the hearts of the most fastidious of guests. 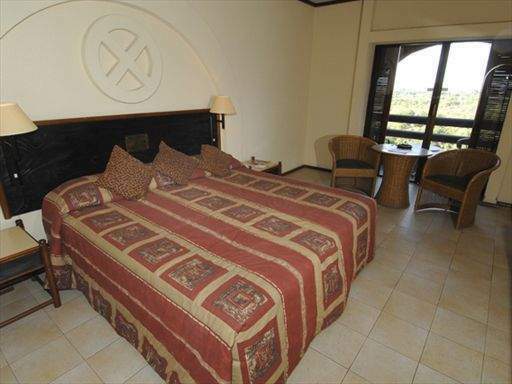 All rooms have a balcony, shower, bath, shaver socket outlet, air-conditioning, overhead fan, hairdryer, sprinkler system, smoke detectors, Direct telephone: bedside/bathroom, mini bar, Television: colour, satellite, CNN etc. 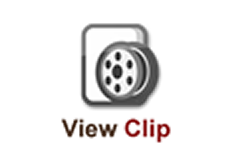 Radio: local, Video: house, Taped music. 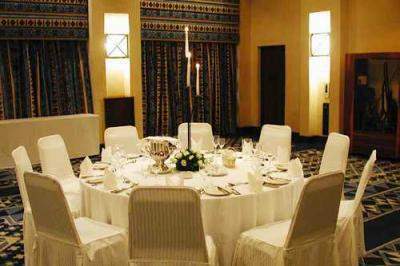 Full Conference and banqueting facilities are available. Same-day laundry service, safety deposit box, foreign exchange facilities, shops, open secure parking, car hire and touring desk, clinic, hairdressing & beauty salons, gymnasium, indoor games, packed lunches, porters lodge. 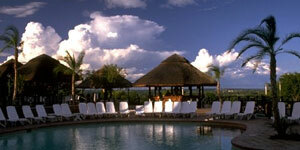 Two wheelchairs are available and elevators service each floor. Two rooms specially designed for disabled guests. Public facilities are equipped for the disabled guests. Public facilities are equipped for the disabled. Porters are assigned to assist disabled guests. Golf - 18-hole Championship golf course, 72 stroke-rating on site. Reservations - Pro Shop/Caddie Master. Well stocked Pro Shop within the hotel with 16 sets of Clubs and 4 cars for hire. Club House has bar and snack facilities under thatch at putting green. Other - two tennis courts (all weather, floodlit), two squash courts, outdoor swimming pool, bowling green.